Model is Italeri with Airwaves spine, Eduard PE, Hasegawa seats and pilots, all heavily modified to F-16I standard in 72nd scale. SPICE pgm, Python-5 and a cluster of other details are scratchbuilt. 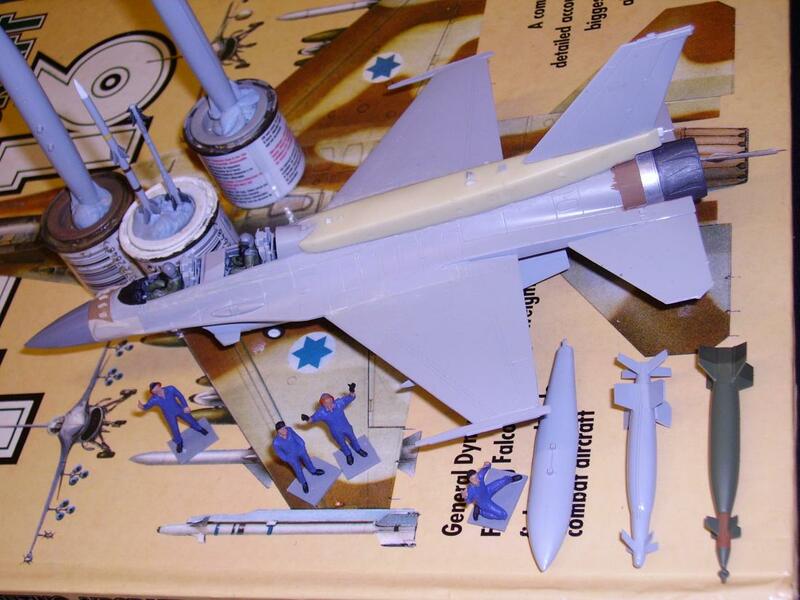 AIM-120 is Airfix, the GBU-10 is Hasegawa, decals are Almark, Italeri and Revell. Camera happy techs are Preiser.